But there’s more up with Mia than just ‘normal’ teenage rebellion. She drinks salt water and consumes the fish in her mother's aquarium. On the day she gets her first period, she also finds that other, more far-reaching changes are taking place in her body – changes that go much further than she would like. She tries to blot this out through drink and drugs, but there is no stopping the inevitable. With IFFR Live screening on Sat 27 Jan.
Every day, a new hot tip to give you some ideas. Today’s tip comes from Winfried Baijens: Blue My Mind. 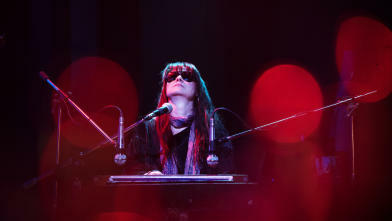 Sound, loving and above all honest biopic about Nico, more than twenty years after Andy Warhol and The Velvet Underground. Trine Dyrholm (Kollektivet, Festen) is stunning as the artiste who always has to carry the ballast from the past with her, but continues to believe in the possibilities of a new start.